Home MUSIC PAULA ABDUL AND MC SKAT KAT REUNITE! 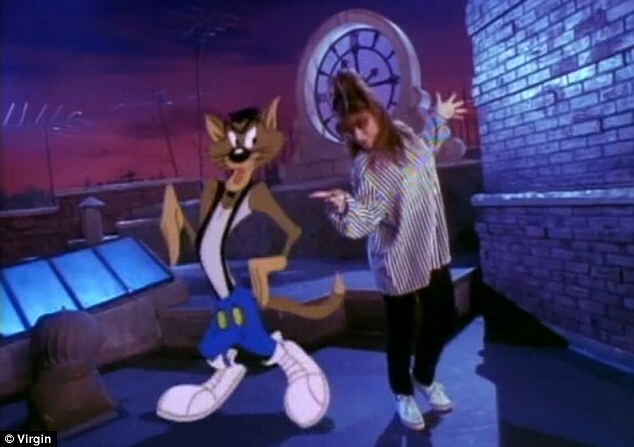 Paula Abdul made many 80s and 90s babies dreams come true recently when she resurrected her animated partner in crime MC Skat Kat (from her global 1989 hit single Opposites Attract), for a recent performance on US TV show Dancing With The Stars! The performance featured a medley of some of the former American Idol and X-Factor judge’s biggest hits from back in the day, including Straight Up, Forever Your Girl, Cold Hearted and of course Opposites Attract, all from her multi-platinum-selling 1988 album Forever Your Girl. ‘This was a concept I had wanted to do for years,’ she said as she introduced the performance in a pre-recorded VT, when it aired on Tuesday (November 20th, 2012) night. ‘I call it the dream medley because anything can happen in a dream, and this is Paula’s dream so anything does happen.’ Check out the performance below! With MC Hammer and Paula both in the headlines this week for making brief comebacks, which other old school stars would you like to see back on the scene??? I haven't heard of these songs for years. Now, I wouldn't be surprised to see people dancing to them again. So awesome! I just watched the Dancing With the Stars video…she is crazy amazing. And crazy! thanks for the comment and Yes, Paula is a legend!